A ‘ready to go’ game that’s complete with powerups and leaderboards. Check out Alpha Balls today! 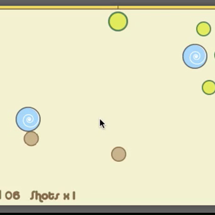 A ‘ready to go’ game that’s complete with powerups, leaderboards and awesome code. The gameplay mechanic is unique and quite fun to play. Just replace the art and send it off! Includes a How to Edit Video.